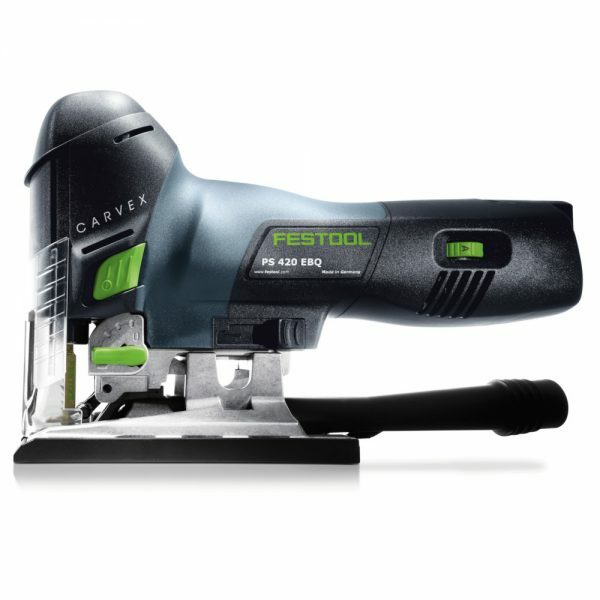 Carvex Jigsaws are armed with advanced motor technology, a host of features you’d expect from us, and others never imagined. 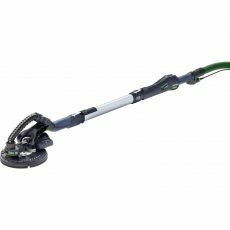 The PS 420 EBQ packs it all in to a low-profile form. 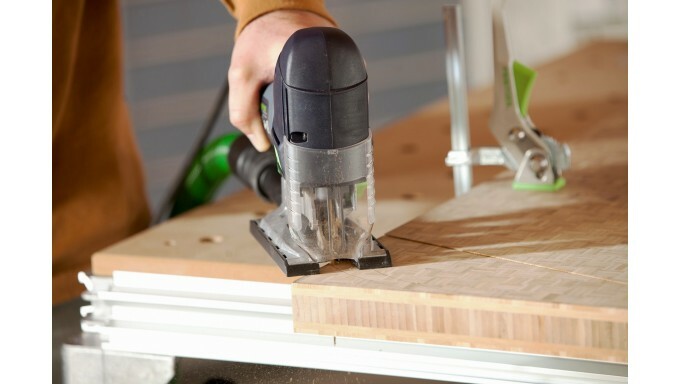 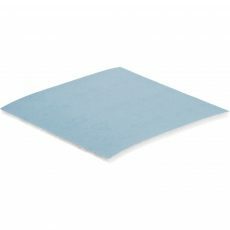 As with all Carvex Jigsaws, multiple base plates are available for cutting wood, metal and more. 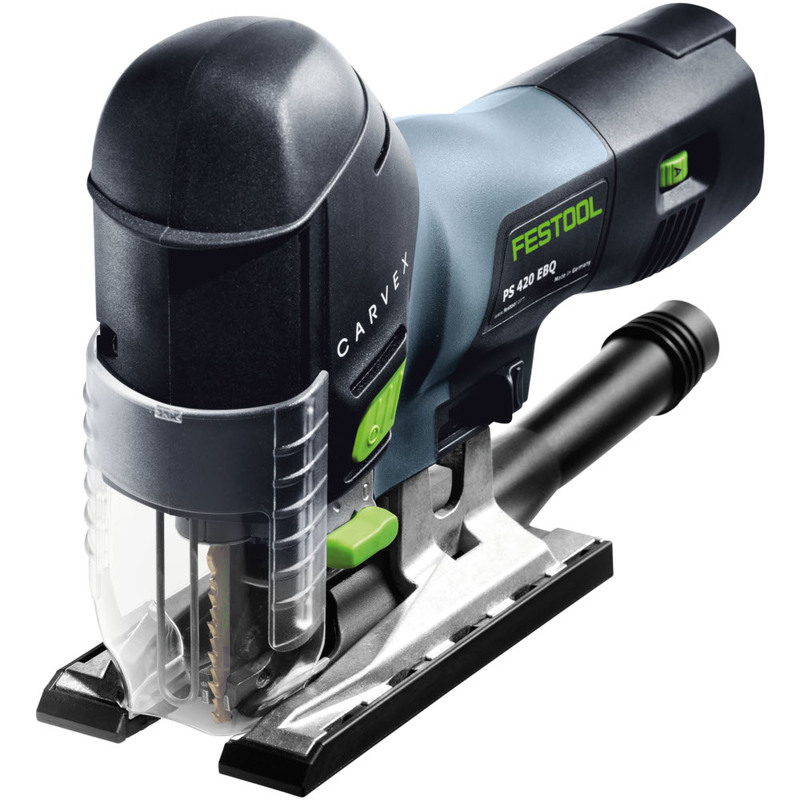 Tackle your most demanding applications with the robust and versatile new Carvex Jigsaw. 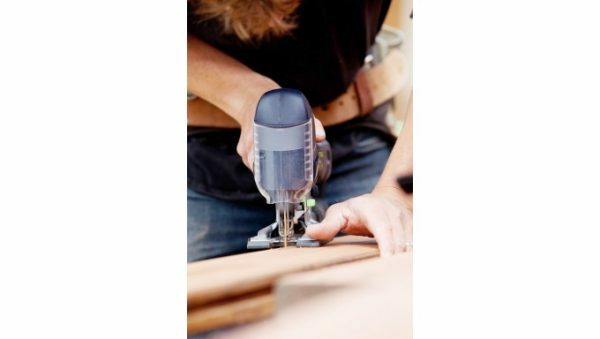 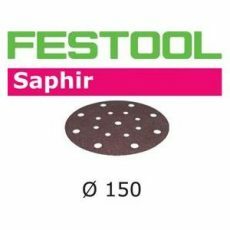 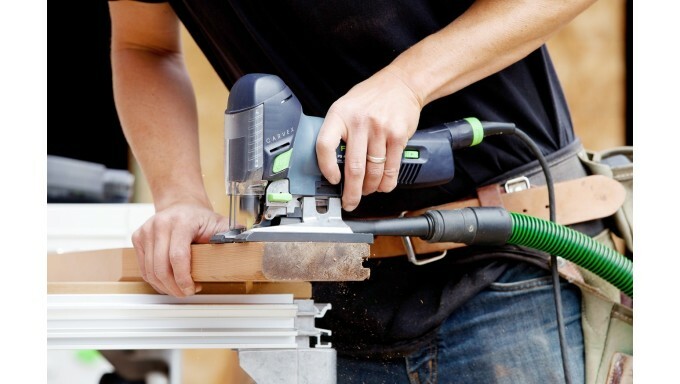 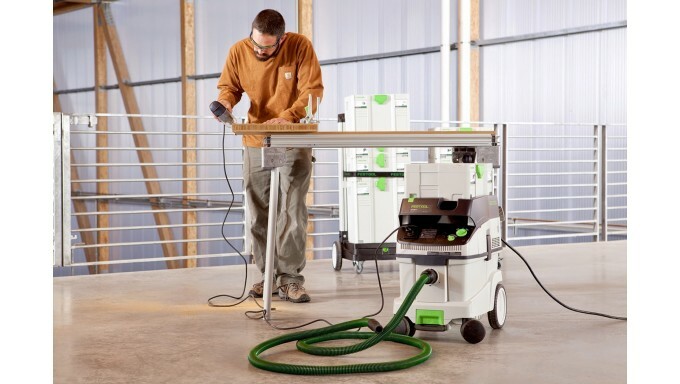 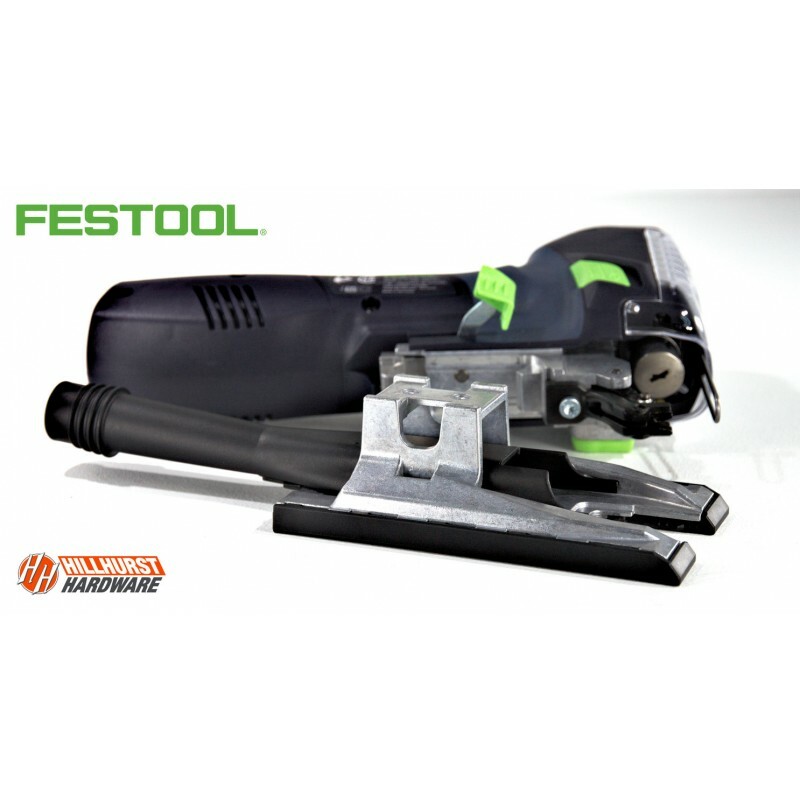 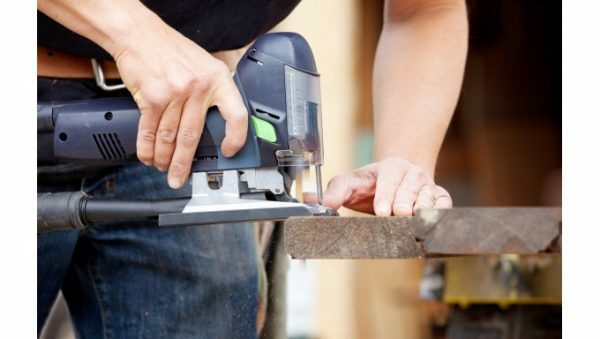 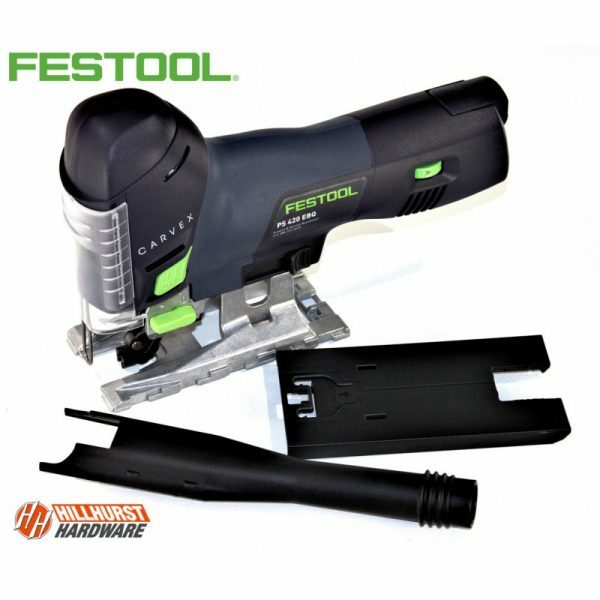 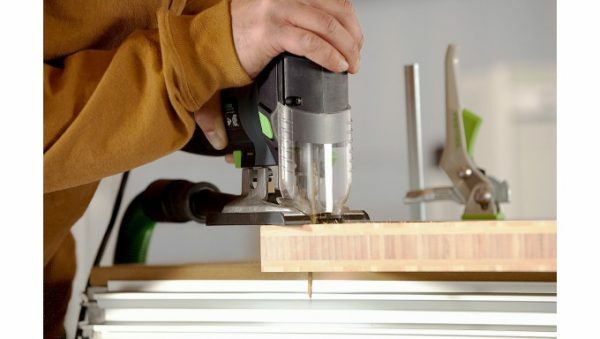 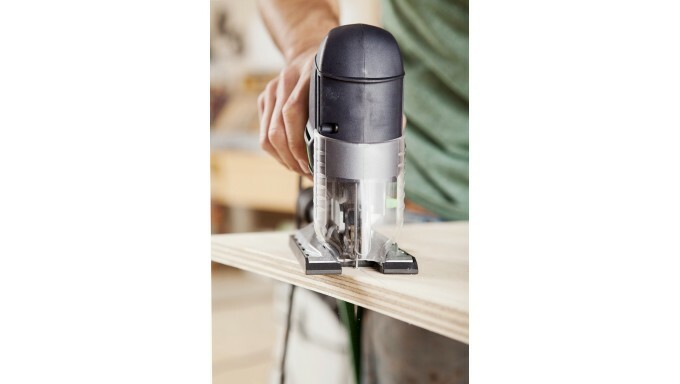 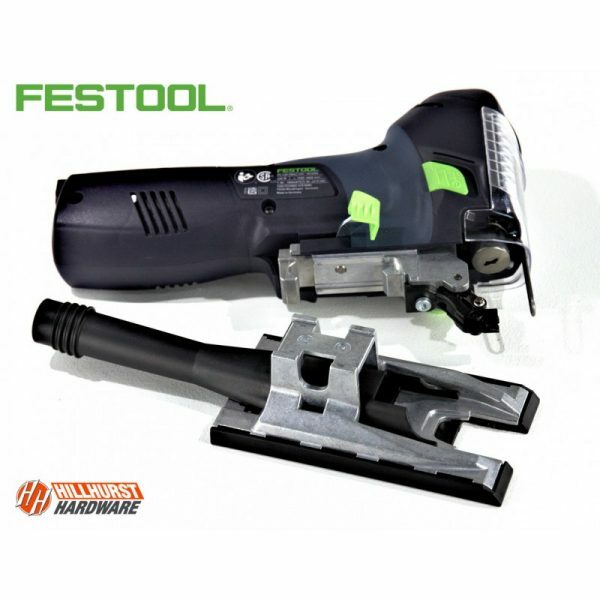 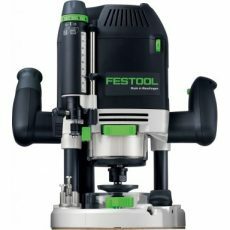 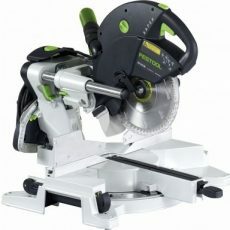 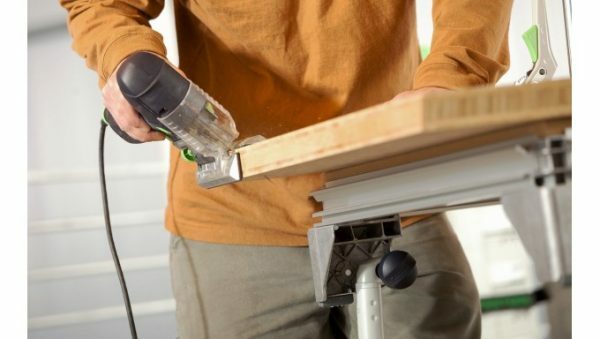 It features multiple optional base plates for cutting wood, wood-like materials, plastics, and metals, adapting to your most challenging tasks. 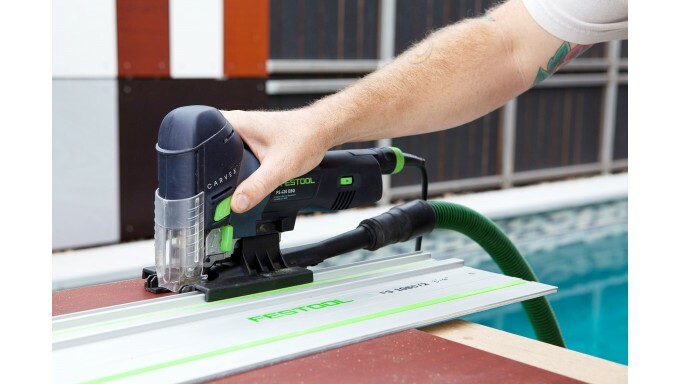 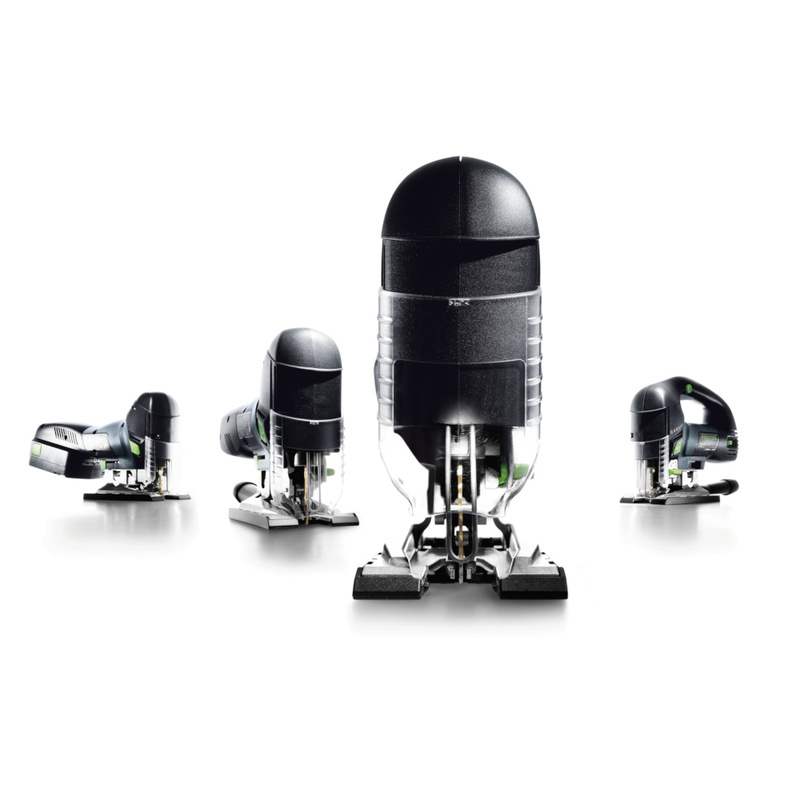 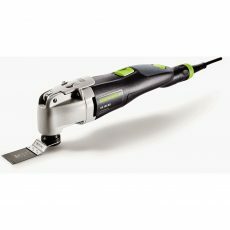 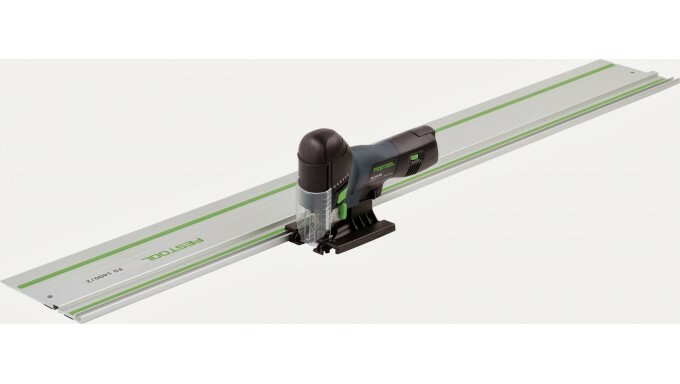 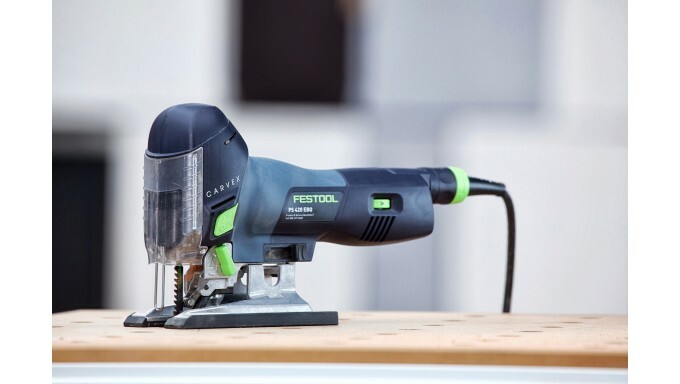 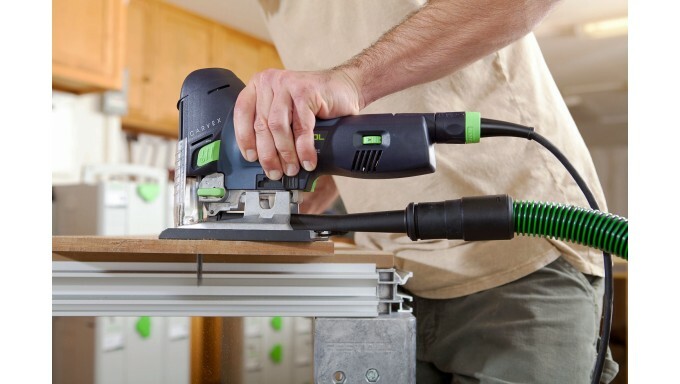 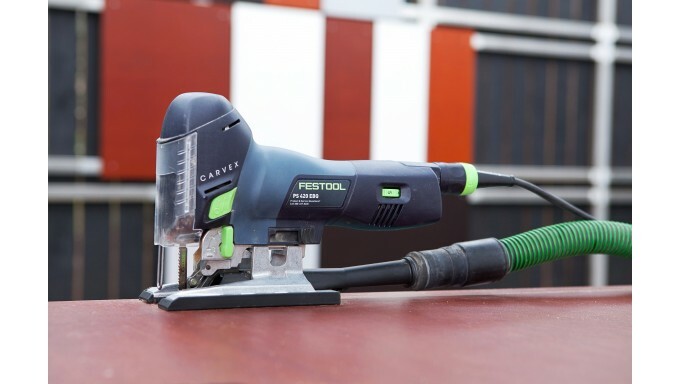 Precise – With 3-point blade guidance, stroboscopic lights, and zero clearance Splinterguards, the Carvex lets you cut straight and true, with virtually zero tearout!